I am with you. I rarely waste food if I can help it. I feel guilty if I have to toss some leftovers or ingredients because they have spoiled. For me it comes from a childhood where food and other resources were not plentiful so I am hard wired to be thrifty and efficient where food is concerned. Adding pungent spices to anything is always a good idea. They are perfect golden crusty potatoes! Delicious!! Golden and cristy is the only way to make em in my book lol Thank you! These look absolutely yummy Jess! I’m with you on wasting food, I just hate to do it! I hate wasting food and can eat leftovers all week long too. A lot of my recipes come about by just opening the cupboard and staring at spices too! I love what you did with these potatoes and the combination of spices with the honey that you used! I am totally with you, I don’t like wasting food. Your potatoes look amazing, and I love the sweet and spicy combination. Thank you for bringing your yummy potatoes to share with us at Fiesta Friday! Such an unexpected but delightful combination of sweet and spicy flavors! I think I’ll try this combination with maple syrup instead of honey. Oooh, that sounds like a very yummy twist. Let me know if you do try the recipe out that way and how you like it. Thank you! I’m the same way about wasting/throwing away food. It makes me feel so guilty. 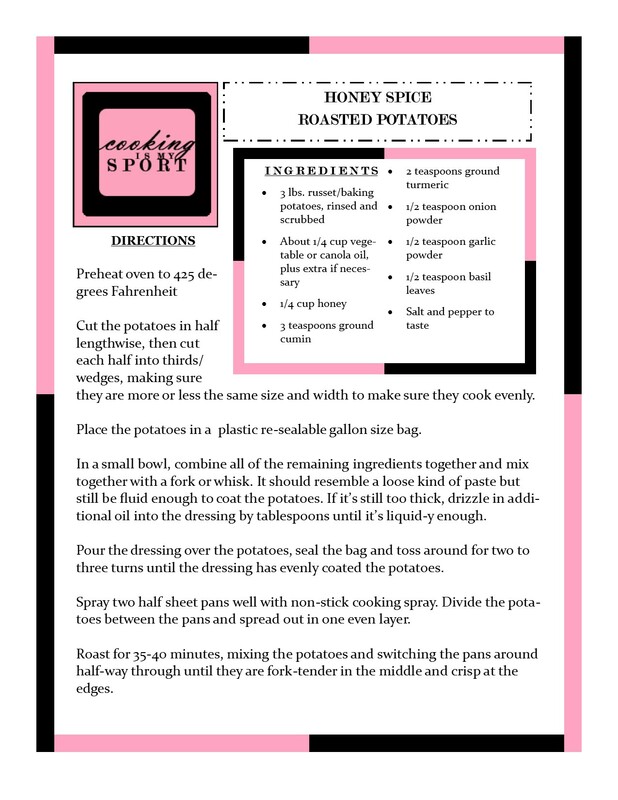 This recipe is a great way to use up potatoes. Looks so crispy and flavorful! Nice!!! That’s exactly what I do: open my spice cupboard and see what takes my fancy!